The first Life is Strange had a profound impact on me. It’s rare for me to find a game that I become so obsessively engaged with. There were flaws (poor animation, weak dialogue at times, plot threads that led nowhere), and whether these were due to lack of funding or a shortage of development time is a moot point. LIS hit home in a way that few other stories had, in games and other media. So earlier this year when DONTNOD Entertainment announced that not only were they working on a sequel, they had licensed the brand to Deck Nine in order to produce a Chloe-centered prequel, to say I was excited wouldn’t do it justice. 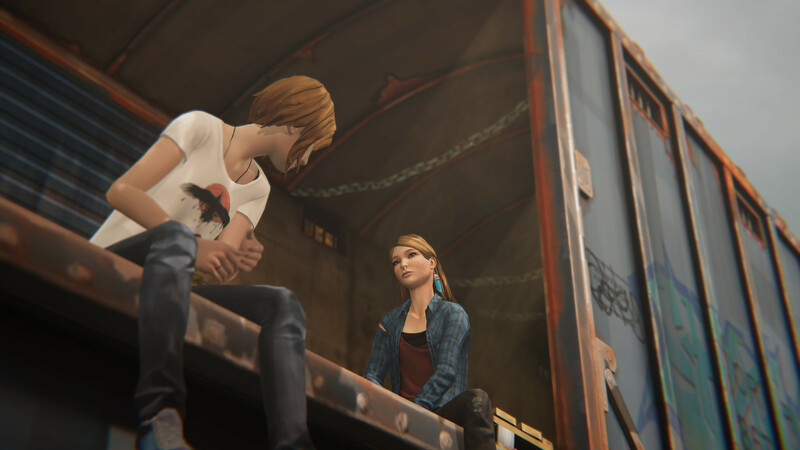 Even though I knew how Life is Strange: Before the Storm would end, I was excited to see how Rachel Amber’s character would be handled, to see Chloe become a bit more fleshed out. And Deck Nine hit it out of the park. 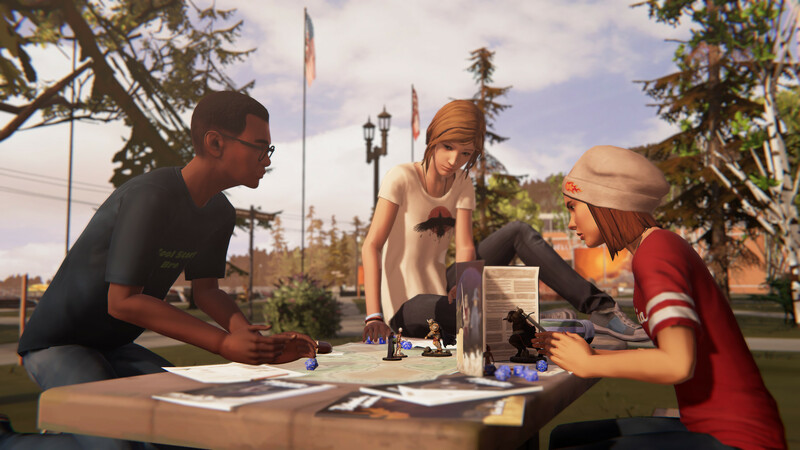 Before the Storm takes place three years before the original game, and players step into the shoes of sixteen-year-old Chloe Price. Price is perhaps one of the most polarizing characters of the past five years; players either love or loathe her. I feel this has a lot to do with whether or not a player can truly empathize with Price. Chloe hasn’t been dealt a stellar hand in life; her father died in a car accident, her best friend moved away and fell out of touch just when she needed her most, her mother is seeing a man that Chloe doesn’t seem to get along with at all. Price is grappling with a lot of pain, anger and feelings of helplessness. She has lost her sense of self and is wandering through life, despondant and directionless. If a player hasn’t had to deal with a trauma in their lives, either on the same scale as Chloe’s or not, it would be difficult for them to understand why her character behaves the way that she does. When a person is that young and loses a parent suddenly and violently, survivor’s guilt and anger at a cruel, uncaring universe can easily take over. Especially when it feels as though your whole support system has failed (see: Max moving and Joyce starting to date again). Chloe lashes out because she hurts, and is terrified of being hurt like that again. She belittles, berates and manipulates in order to maintain her walls and keep others at a safe distance. And this is where Joyce’s character shines through. Joyce is a woman desperate to reach her daughter and help her bear the brunt of her depression and anger. She’s scared of losing the one thing that matters to her most in the world. And the writers at Deck Nine give you the option to be absolutely hellacious to Joyce near the end of the conversation. The dialogue, while still a bit wooden and clunky at times, is massively improved in BtS. It’s really refreshing to have teenagers who actually sound like teenagers and not, you know, middle aged men trying to sound fifteen. Along with better writing, the lack of a time manipulation power lends a lot of weight to your words and choices. I often caught myself thinking back on being sixteeen, angry and hurt for a lot of the same reasons as Chloe and genuinely wondering what I would have said. In lieu of the ability to rewind time, Chloe gets a “backtalk” mini game. It’s a bit of a thought puzzle built into dialogue trees. When a character has something that Chloe wants, or is standing in the way of what Chloe wants, Price goes into a very verbally combative state. Where Max and her time manipulation felt a lot like careful probing and opportunities to learn new information, Chloe and her argument game feel a lot like a wrecking ball that caught fire. Players have to choose phrases they think will hurt the character the most in order to win. If it sounds crude and despicable, that’s because it is. But it’s also very fitting with Chloe’s character and backstory. She isn’t well-versed in nuance and subtelty. She uses her anger as a blunt instrument to smash her way to her goals. The long-anticipated meeting of Rachel Amber’s character is as interesting as it is unsettling. If you’ve played LiS, you already know what happens, and it makes every scene exceptionally bittersweet. I didn’t know what to expect from Deck Nine’s characterization of Amber, but it’s both intriguing and heartbreaking. Amber is the kind of young woman that everyone can’t help but to fall a little in love with. She’s confident almost to a fault, just mischevious enough to hold your interest, and has this vibrant passion for life that leaves a bit of an ashen taste in your mouth. But I suppose that’s the entire point. Deck Nine certainly has a lot of respect for the source material and isn’t afraid to build upon that foundation. It’s a wonderful game and well-worth the $16.99 for the season pass. Long-time fans and newcomers alike will find plenty to think, laugh and cry about with this installment. And if narrative teen melodrama isn’t really your bag, there’s a playable Dungeons & Dragons style game thrown in as well. Long live Barb, the elf barbarian!